Important : This product will take 15 to 20 Working Days to delivery at your doorstep. 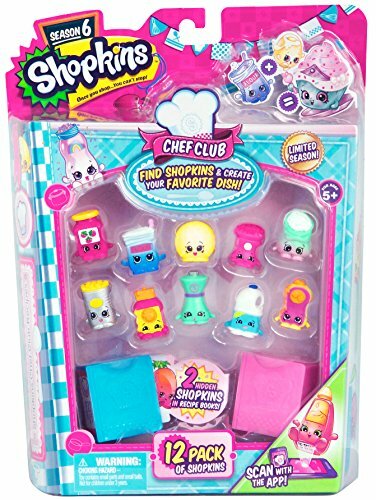 Shopkins Season 6 Chef Club contains the most adorable ingredients and kitchen for little girl’s play. The kitchen set for girls contains 12 cute shopkins, 2 recipe books, 1 recipe card and a collector guide. It would be perfect birthday gift for girls so pick it now, add it to your cart and enjoy Amazon shopping in Pakistan. Comes with 2 Shopkins hidden inside 2 cute cook books! Before to order any product please make sure product technically fulfill your need and contain no illegal ingredients (e.g. wine, alcohol, pig, pork, animal based gelatin etc) or contents. For technical support or manufacturer's warranty of the products found on shoppingbag.pk you can contact directly with the original manufacturer or visit their website. We are just your importer of goods from USA and will not provide any kind of technical support or product warranty or quality check. Photos may be enlarged or enhanced to show detail. © 2019 shoppingbag.pk All Rights Reserved.